If you want to lose weight, you need to reduce the calories you eat each day. But here's a secret: You don't need heroic willpower to do it. Instead, you can start cooking your own healthy meals that fill you up and keep you satisfied for hours. When you do the cooking, you can banish the hidden calorie traps like an extra splash of oil or handful of cheese. 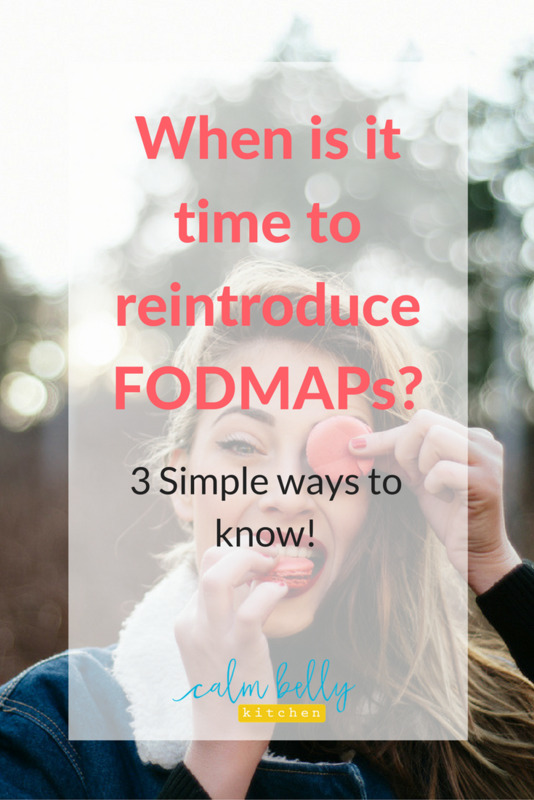 It's also a lot easier to manage the FODMAPs when you're in charge. If you'd rather get a cavity filled than spend extra time in the kitchen everyday, you need smart strategies. These tips are all about making better use of the time you have, while still giving you healthy, delicious food that makes your belly happy. I think that's pretty heroic! 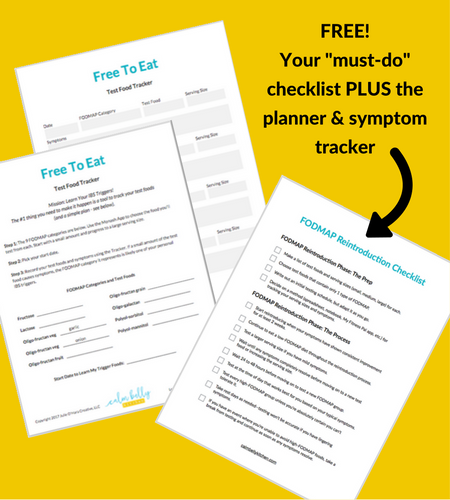 Psst>>>Click the image below to grab your free cheat sheet! Most of my clients tell me they don’t cook a lot of seafood even though they like it. Here’s why I suspect this is: No one really enjoys handling fish, and prepping it feels like a big hassle. That’s unfortunate because fish can add so much variety to a low-FODMAP routine (there’s only one kind of chicken, but endless types of fish after all! ), and it can provide just as much protein as meat for fewer calories. Luckily, you can eat more fish without doing more work. Shop at your favorite market’s fish counter, and ask them to do the prep for you. It’s part of the job! From taking the skin off a salmon fillet, to gutting a trout, to shucking oysters, it can all be done before you get back home. If seeing an endless ingredient list makes you reach for the takeout menus instead of cooking a healthy meal, look for short and simple recipes with one ingredient that packs a punch. Yes, this even works on the FODMAP diet when you’re avoiding certain flavor boosters like garlic. Mason jars are the sneaky gateway drug to prepping your meals in batches. Use them for building salads, rice or quinoa “bowls,” or overnight oats. For salads, you can prep 3 days worth before you run into veggie wilt. 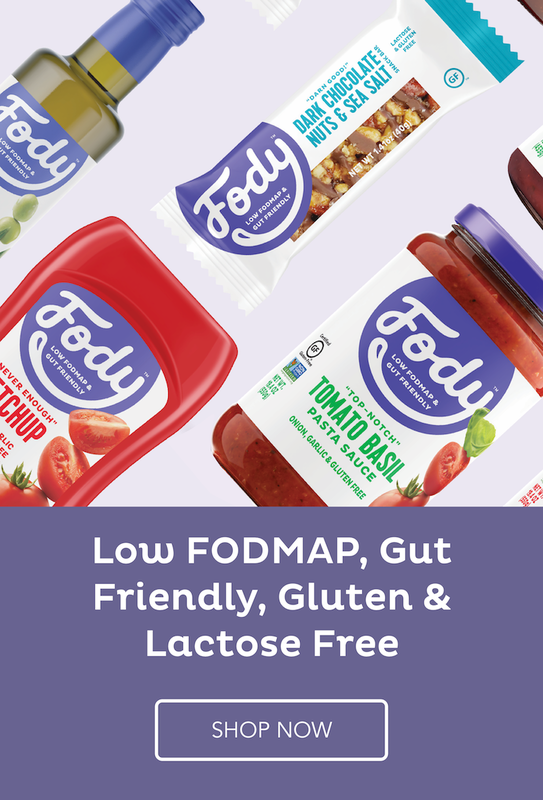 Combine low-FODMAP ingredients like carrots, tomatoes, cucumbers, sunflower seeds, a single-serve pouch of tuna, canned chickpeas and any lettuce. Make a batch of vinaigrette and add it each day before you leave the house (be sure to put lettuce at the bottom of the jar). For a rice or quinoa-based meal, combine your grain in the jar with roasted or fresh veggies, grilled chicken and an extra flavor booster like cheese, pesto or tomato sauce. For overnight oats (quinoa flakes or chia work too), you can prep 5 days worth of mason jars at once. Each night add your lactose-free milk of choice to one of them and breakfast is ready. I love to cook. I don’t even mind doing dishes. But I hate standing over the sink getting sprayed with water as I clean a pile of veggies. Instead of doing all the washing, slicing and dicing yourself, buy those greens pre-prepped. Boneless, skinless chicken breasts are the heroes of the diet world and fit seamlessly into low-FODMAP meals too. But don’t buy that puny 1-lb pack of chicken. Most stores offer big packs, or buy as much as you want straight from the butcher. Grill, bake or broil enough to get you through a week or beyond, if you use your freezer. But what if you have a stir fry recipe that only calls for a pound of meat? Pop the extra chicken into the oven while you cook. You can turn it into a week of lunches, or add it to a quick pasta for dinner the following night. Don’t let those moist and tender gluten-free muffins turn into hockey pucks on your kitchen counter. Freeze items like mini frittatas, protein bites, muffins and scones as soon as they’re cool. Double wrap them individually to avoid freezer burn. It’s also super easy to grab just one on your way to work in the morning (and a clever way to practice portion control). Accurately measure the serving size of fruit, veggies, nuts or any other food where monitoring portions is essential for keeping your belly happy. Reduce the number of dirty dishes by eliminating measuring cups and extra bowls (this makes baking soooo much faster). Weigh out your portions so you KNOW you’re sticking to your daily calorie budget. It’s a lot easier to follow a weight loss plan when you’re not just guessing. 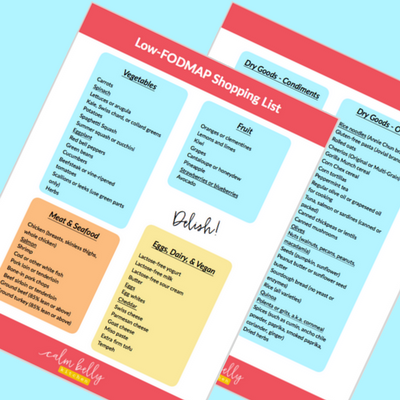 I hope these tips inspired you to cook healthy and delicious low-FODMAP food. Take it slow at first and you’ll be cooking up a storm in no time.